Change happens when the pain of staying the same is greater than the pain of change. Divorce, breakups, separations are painful even if you yourself want or initiate the break. Marriage is not only a social institution but typically also a host of tender memories and shared moments in a house that is turned into a home by the couple. Too frequently due to bitter experiences, irreconcilable differences, or inexplicable reasons couples turn to divorce as ending the relationship seems like the only solution. Just as appropriate medical treatment is essential for medical distress, and surgery is required for certain conditions, psychological treatment, couples counselling or even marriage retreats are recommended for a flailing relationship, marital distress or a couple in crisis. Today, due to fast paced lives, work commitments and pressures, smartphones, competition and the rat-race as well as unending choices, often couples do not have the luxury of sharing regular and relaxed time with each other while having many threats to safeguard their relationship from. Healthy communication, humour, mutual respect, self-care for each partner, a balance of personal space and togetherness, shared responsibilities for the relationship and home are ideal for any marriage. But to achieve and maintain these in today’s world is a challenge. When does one need marriage counselling? When intimate relationships go awry or do not fulfil our expectations, it can be especially crushing. It is possible to change pain-causing communication and relationship patterns, and to heal from emotional distress, loneliness, resentment, contempt, lack of intimacy and compassion, or the weight of childhood or past trauma. If you are tired, bored, do not feel a sense of passion or interest, are in distress, feel resentful, lonely or have emotionally shut down in your marriage or relationship make a choice to seek help. These are certain indications that a reassessment and revamping of your relationship can lead to a more fulfilling situation. 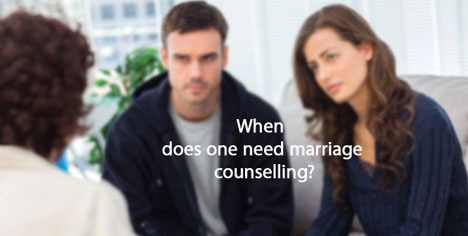 Marriage or Couples Counselling or Couples Retreats can help guide and heal a relationship. In case of violence or abuse in your relationship, seek appropriate help immediately through law enforcement, and/ or a counsellor who might be able to guide you on your options. Space and togetherness can be an important balance to navigate as a couple. Give each other space as well as plan for togetherness in contemporary busy lifestyles. Self-care as a priority helps you bring your best self into the relationship. Self-care also implies “you are important”, “you are worth it”, and brings this understanding to the relationship. Loving yourself, and being happy with yourself makes you a happier partner. Mutual respect includes agreeing to disagree. Understanding that each of you has a right to your opinions, thoughts and feelings and allowing a safe space for each other’s world views is of utmost importance for a healthy relationship. Talking through problems openly and honestly can go a long way in helping to create understanding and not build up resentment. Communication is key. Forgiveness is healing for the one who forgives as well as for the one who receives the forgiveness. Likewise apologizing when appropriate is essential. Allow with ease both forgiveness and apologizing in your relationship. There are numerous factors that can cause a relationship to be painful. Just like we care about the health of our body, relationship also requires checkups when needed. 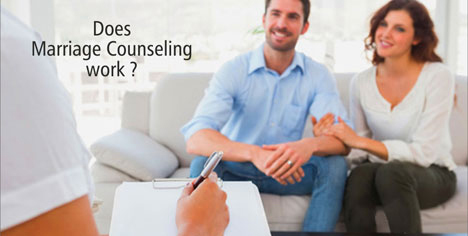 If you would like help from a licensed marriage counselor, we at Couple Care we offer relationship counseling in Orange County, California. Our couples therapy retreats are specially designed to address your relationship concerns at the core. Copyright © 2018 couple-care.com. All Rights Reserved.